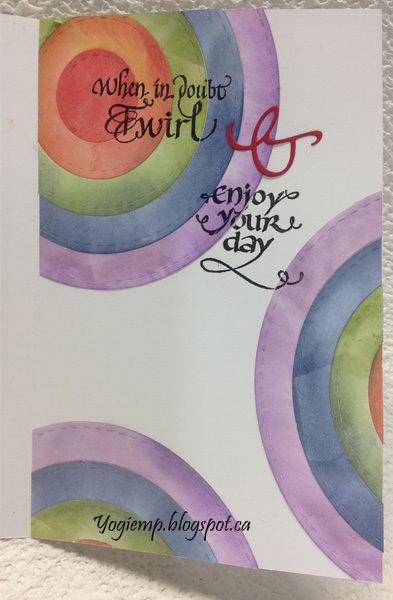 3rd card from Day 1 from Jennifer McGuire's online class "Rainbow Maker"
What a fun rainbow effect - with those bold words. Thanks for joining the QKR Stampede anything goes challenge this week. Oh, the colors! 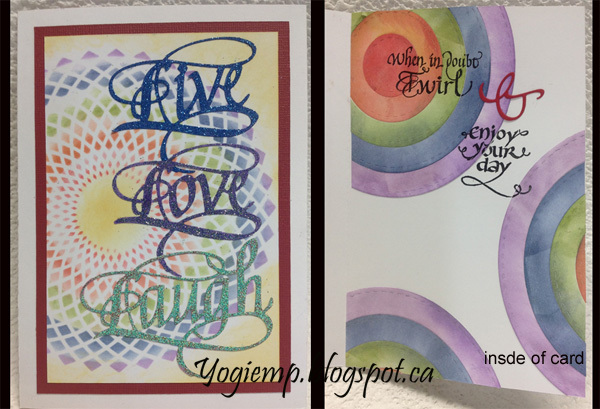 I love color, and I love that "when in doubt twirl" sentiment! Love this card with that rainbow effect. 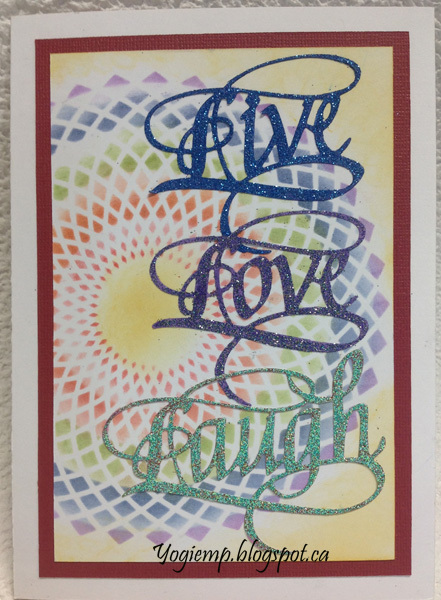 Perfect Sentiment too, Live, Laugh, LOVE!